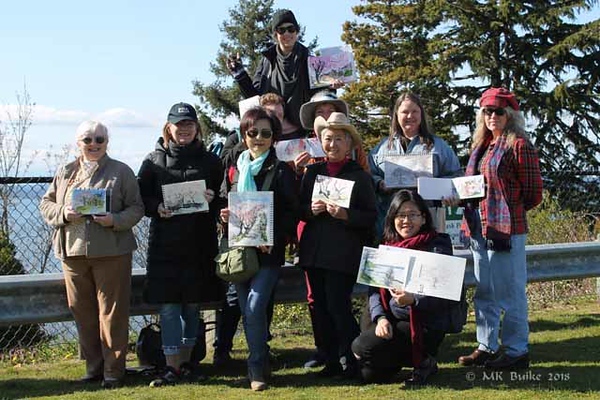 Urban Sketchers Seattle gathered for a short notice sketch outing yesterday to catch the Cherry blossoms. Unfortunately, the lovely old trees in this neighborhood hadn't quite fully opened. Still, it was the first day of Spring and the weather was wonderful. Despite the impromptu nature of the outing, we gathered quite a number of sketchers. Three of us sketched the same house. Missing two who were still busily sketching down the street. 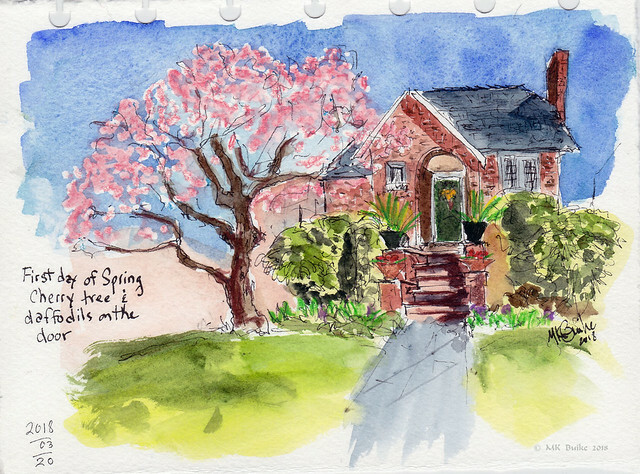 I chose an interesting house with a cherry tree and daffodils on the door.